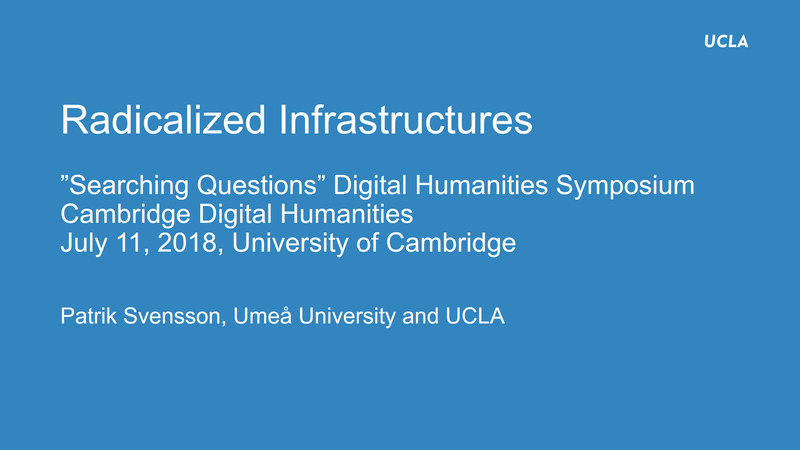 I am very happy to have been invited to speak at the first Cambridge Digital Humanities Symposium – Searching Questions – on July 11. I will speak about “Radicalized Infrastructures” and also take part in a round table discussion. Infrastructure abstract included below. More information about the symposium here and the full program is now available (pdf). Looking forward to speaking, meeting everyone and learning! roadmap, research infrastructure is described as the ‘leaps that remake the world’. and change infrastructural regimes to become more human.